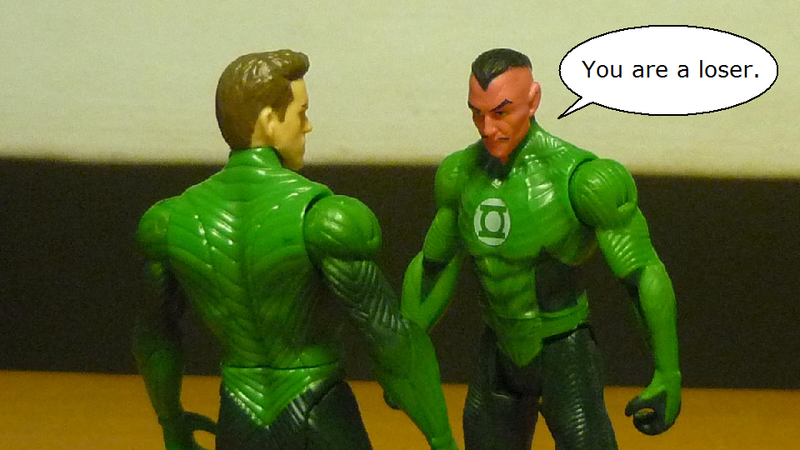 Abin Sur’s starship was attacked by an powerful entity, and his escape pod crash lands on Earth. 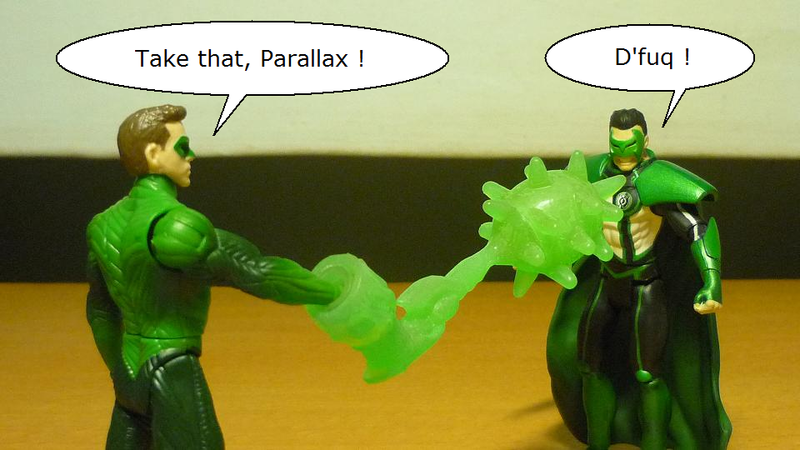 Mortally wounded, his ring seeks out a replacement, the human named “Hal Jordan”. 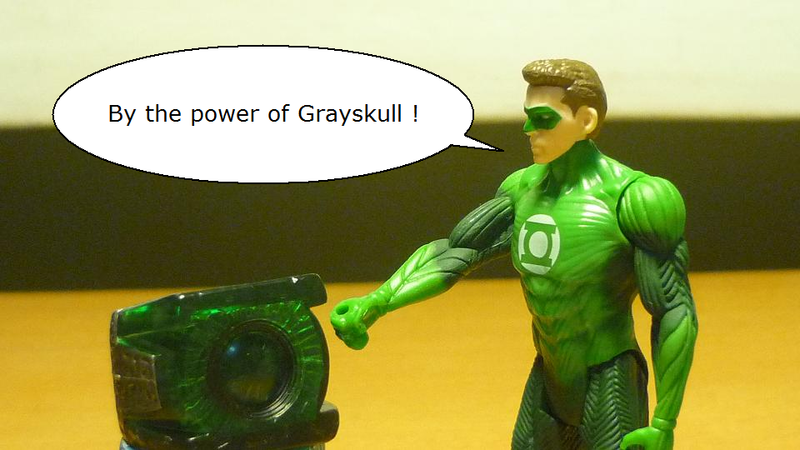 Unless you are “He-Man”, you really shouldn’t be using this battle cry. 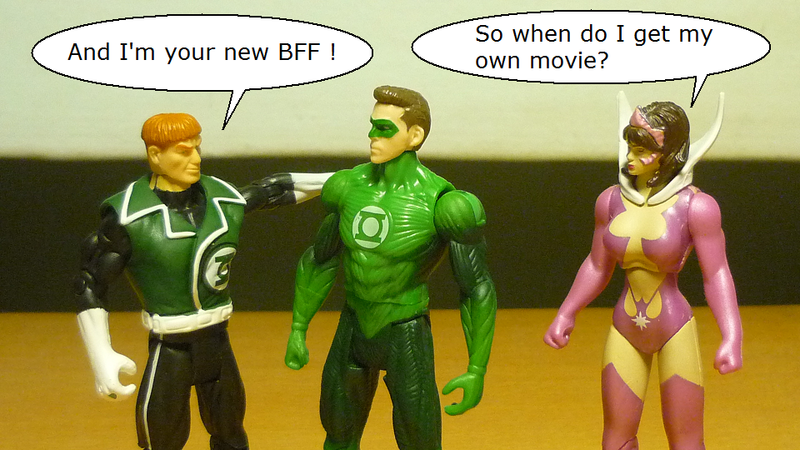 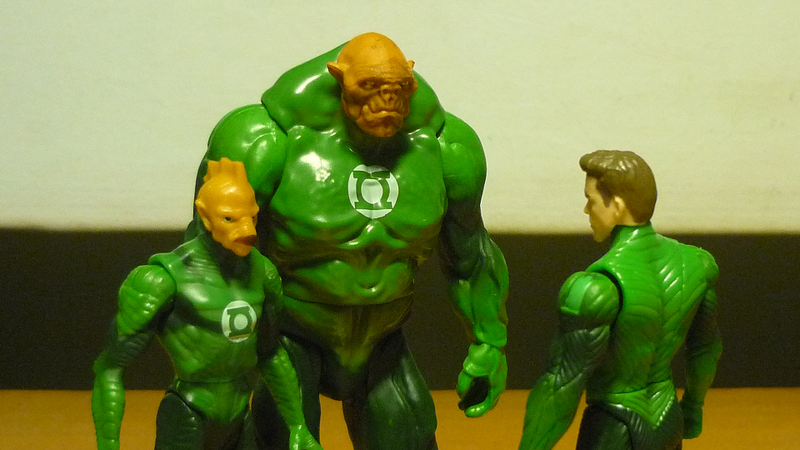 Hal Jordan is transported to the planet Oa, and gets trained by Tomar-Re and Kilowog. 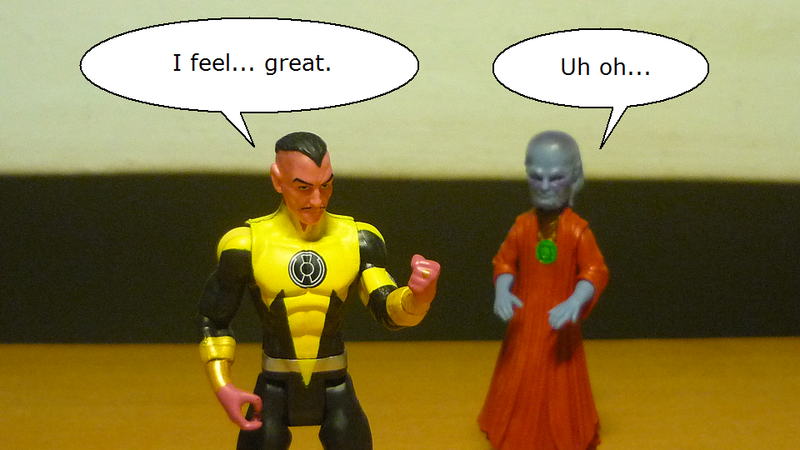 Hal’s serious lack of competency only proves one point to Sinestro. 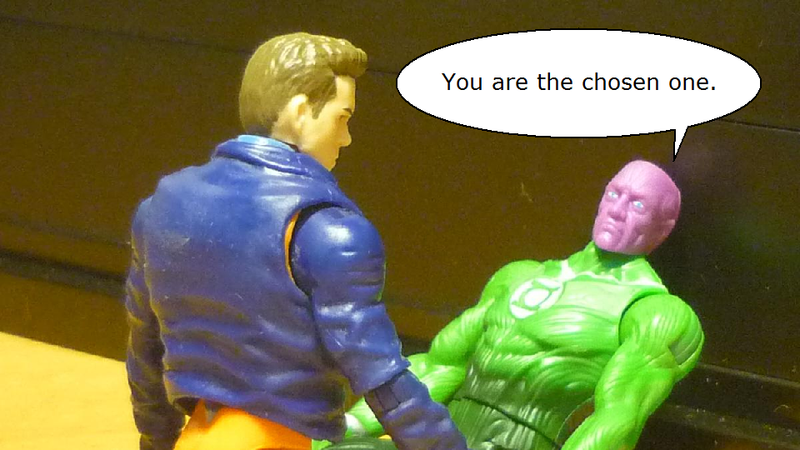 I’ll compress the story here: Hal “suddenly” finds the courage that he had always lacked, and he single-handedly takes on the evil entity when it decides to devour Earth. 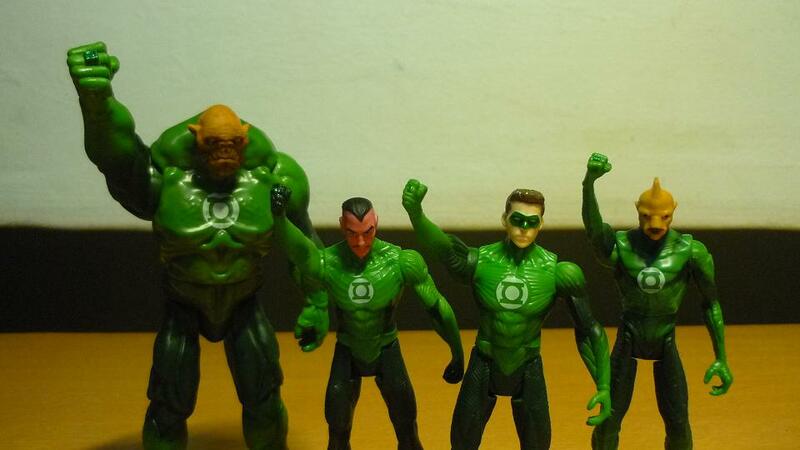 The Green Lantern Corp all hail Hal Jordan for defeating the enemy.